The first natural makeup remover I used was plain ol’ coconut oil. 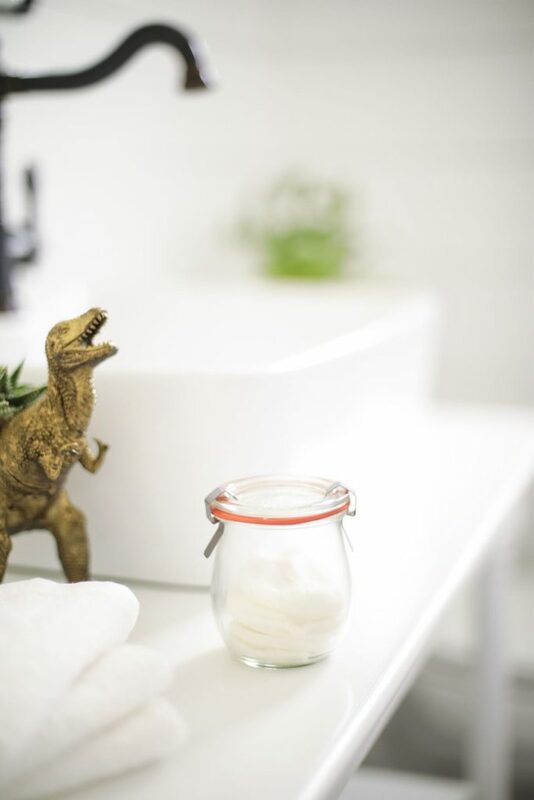 At the time, I was new to the idea of using natural products on my skin, and coconut oil seemed to be–according to the internet– the answer to my every skincare need. Heck, coconut oil seemed to be the answer to every problem in life. Unfortunately, my skin wasn’t a huge fan of coconut oil. After the coconut oil experiment, I moved on to a witch hazel blend, which worked very well. In the spirit of experimentation, I eventually switched over to a new makeup remover option. This time, a balm. The balm was honestly a mistake. A good mistake. The balm was initially a boo-boo cream product that was created for a client’s website. With extra jars of perfectly good boo-boo cream (just beeswax, oil, and a bit of essential oil) sitting in my medicine cabinet, I tried using the cream as a makeup remover. Why not? The cream removed my makeup, including eye makeup. Soon, the cream (renamed to a balm) became my favorite makeup remover. A few months ago, I got the itch to experiment again. This time, I began experimenting with a disposable wipe/facial pad option. 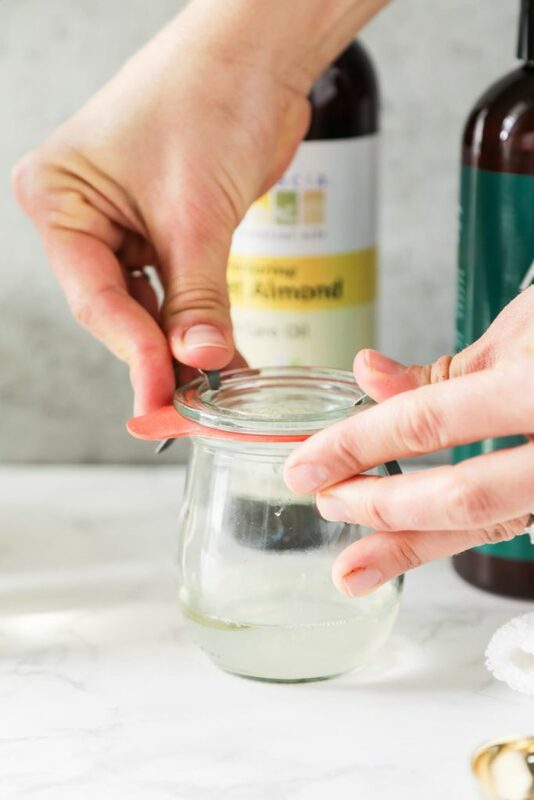 The inspiration for this particular makeup remover came from my past experiences and the simple ingredients in my “medicine” cabinet. I’ve now been using the wipes on a regular basis. After all the craziness of September (Hurricane Irma, evacuation, Alaska), I’ve been enjoying the convenience of simply opening a jar and pulling out a moist, ready-to-use makeup remover wipe. 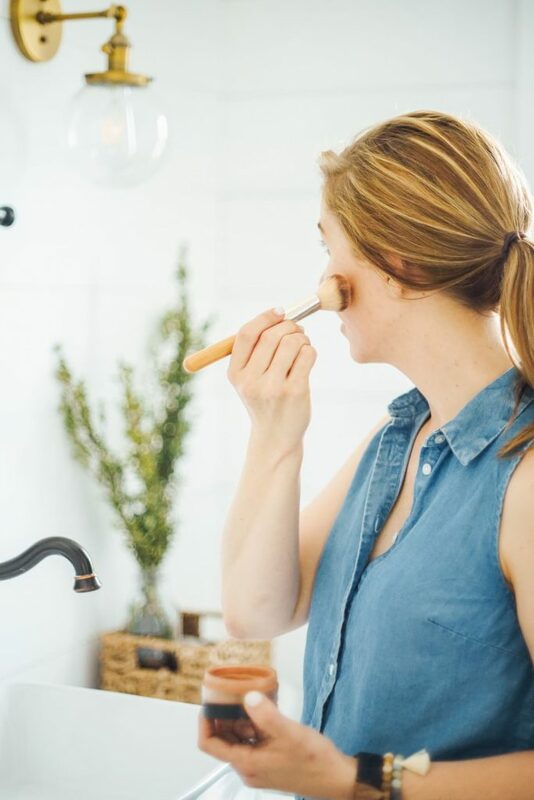 Which makeup remover option is the best? Well, the answer simply depends on your own preferences, current season of life, and the ingredients you have on hand. 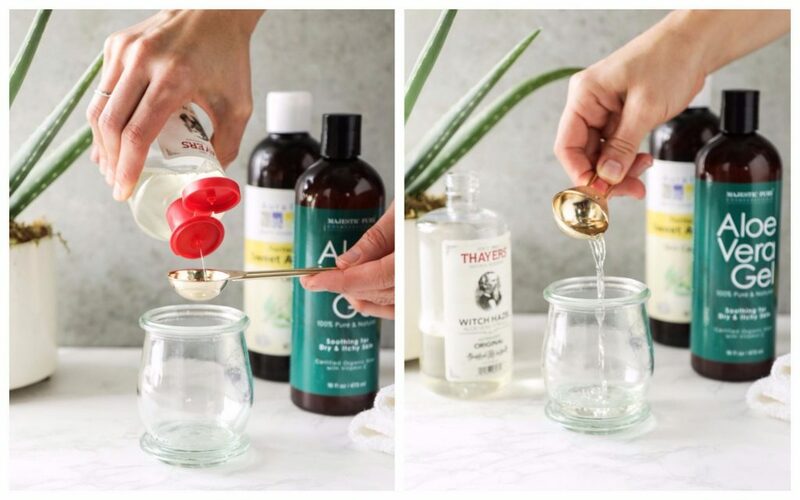 If you’re new to do-it-yourself beauty, and don’t want to purchase multiple ingredients or actually make anything, use 100% oil. 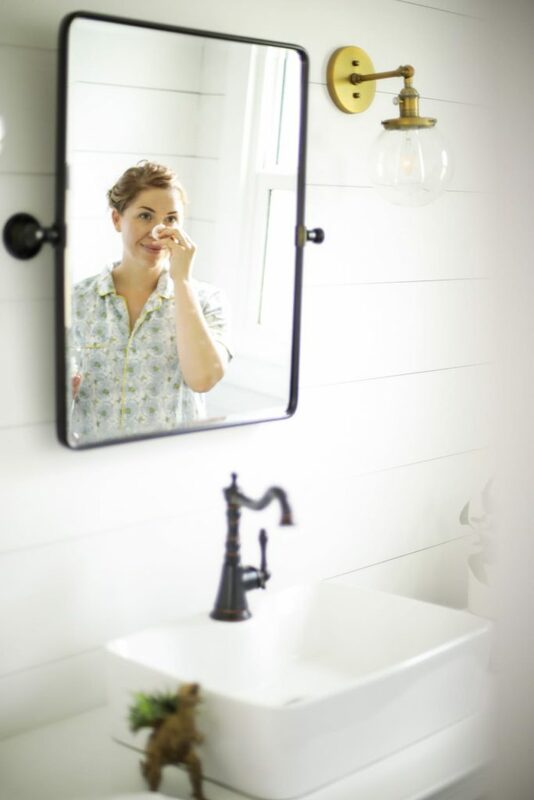 If you love using the oil, but want something that doesn’t drip, try the makeup remover balm. 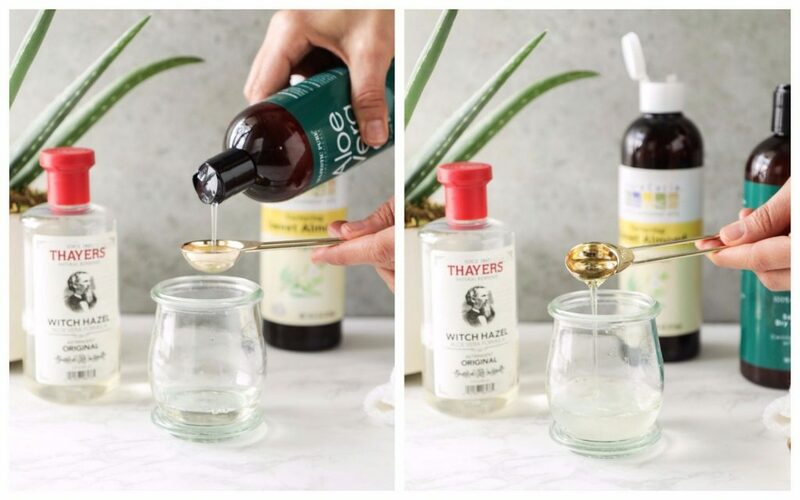 If you’re looking for something that’s not super oily (although using 100% oil as a makeup remover doesn’t make your skin “oily”), try a witch hazel and oil makeup remover. 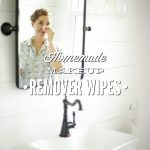 And finally, if you’re looking for an easy, ready-to use makeup remover (one that isn’t 100% oil-based), try today’s makeup remover option: Gentle Makeup Remover Wipes. A gentle witch hazel and aloe vera based makeup remover. Add facial pads/wipes to the solution to create a ready-to-use makeup remover option. Add the ingredients to a 4-ounce jar. 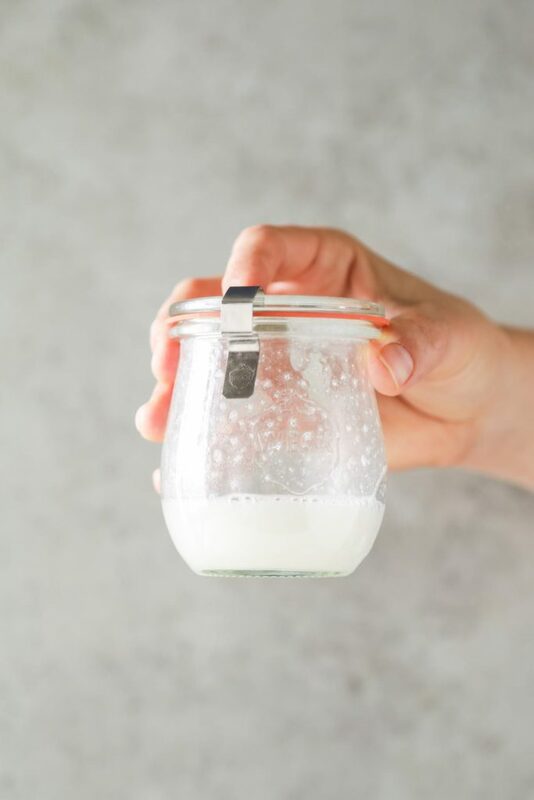 Gently shake the jar to combine the ingredients. Add the cotton facial pads to the jar, pressing the pads down in the liquid. The pads will absorb most (or all) of the liquid. Place the lid on the jar. Store the jar at room temperature. 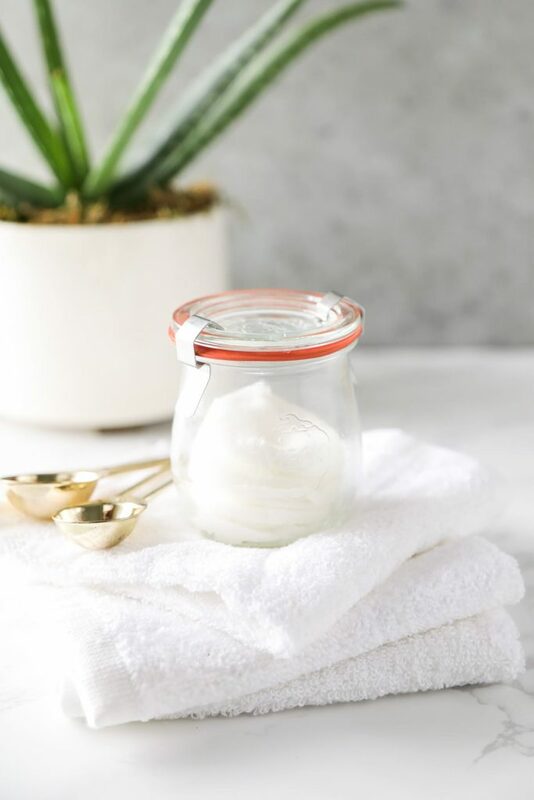 Remove a moistened facial pad from the jar and wipe the face with the pad to remove makeup. I use both sides of the pad. This recipe makes 14 wipes, so the wipes will need to be replaced, and a new solution made, every two weeks. Wash your face with a facial cleanser after using the wipes. 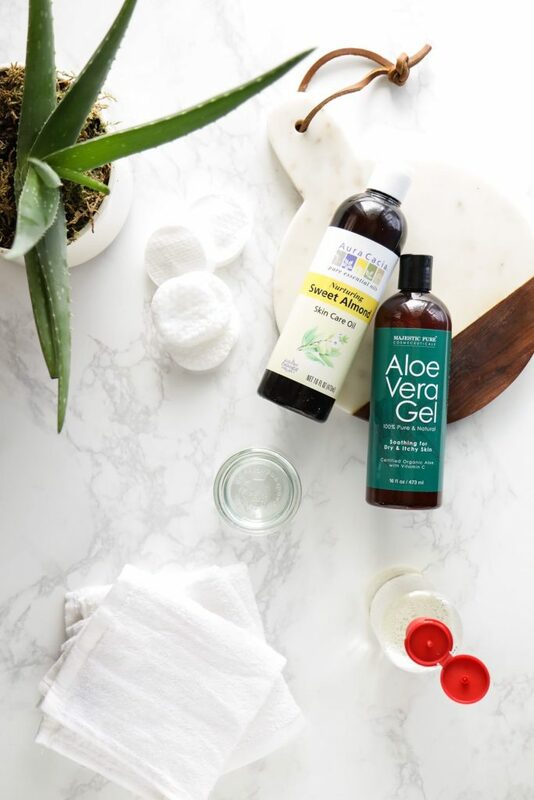 *Look for aloe vera gel with minimal ingredients (just aloe and natural preservatives). Fresh aloe would be lovely, but it would greatly reduce the shelf-life of this product. I like Real Aloe (linked above) and Majestic Pure Aloe Vera. **Use your favorite nourishing/carrier oil, such as: grapeseed, jojoba, olive oil, etc. I like sweet almond oil. ***The jar pictured is a 4-ounce Weck Jar. Small mason jars also work well. how long do the pads usually stay moist? Seems like it’s all about the right storage. Would you recommend any additional ingredient to have it stay moist longer? Hey Therese, They’ll stay moist the entire time (2-3 weeks). I wouldn’t let them go any longer, despite being moist, to avoid anything from growing. Hi Kristin, can I use Witch Hazel that has a percentage of alcohol in it? Or is it something else that I can use instead? Hey Cassandra, Yes, you can. 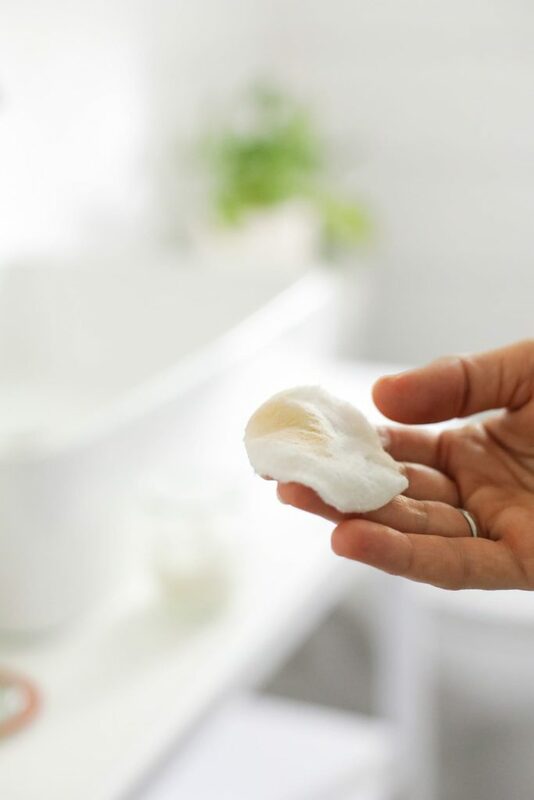 If you find it too drying for your skin, then make the switch to something with less or no alcohol. I order these reusable makeup-remover pads: https://www.amazon.com/gp/product/B078N4R8LH/ref=oh_aui_detailpage_o01_s00?ie=UTF8&th=1 and doubled the recipe. It works perfectly! Thanks so much! 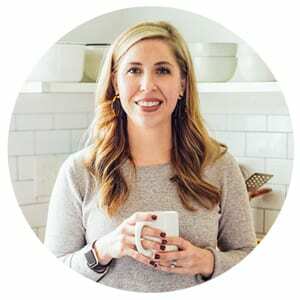 When using Dr. Brunner’s Castile soap, for any if your recipes, can I use the one with peppermint or any other ingredient in it or does it have to be the plain one? Hey Adriana, It can be peppermint. Peppermint tends to have a tingly feel on the skin, so that’s the only thing to consider.